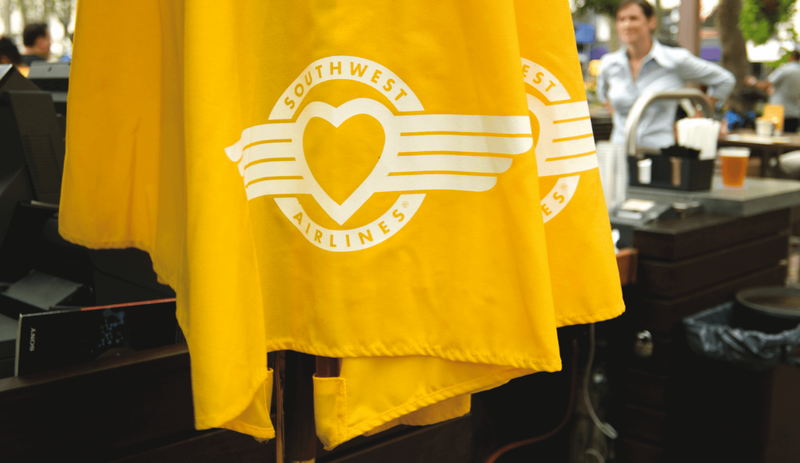 When Southwest Airlines began serving LaGuardia Airport, they decided to skip the usual advertising methods and present New Yorkers with a summertime gift instead. 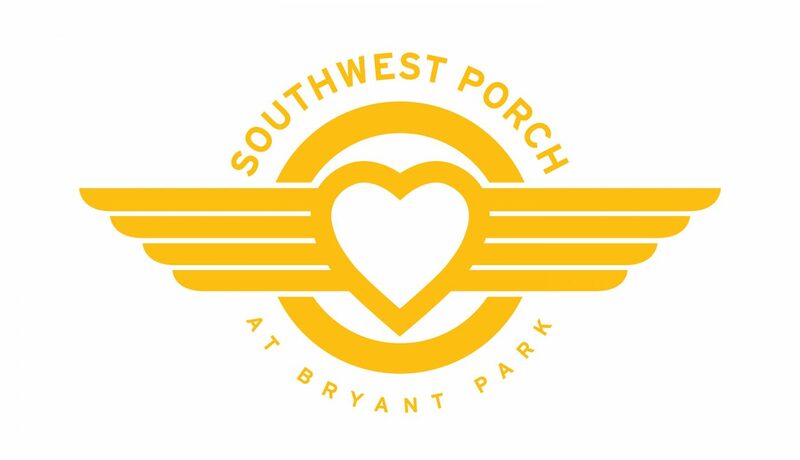 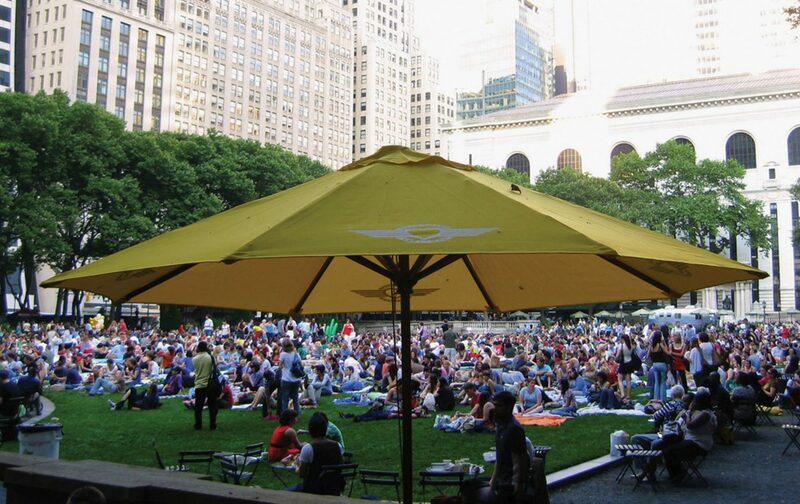 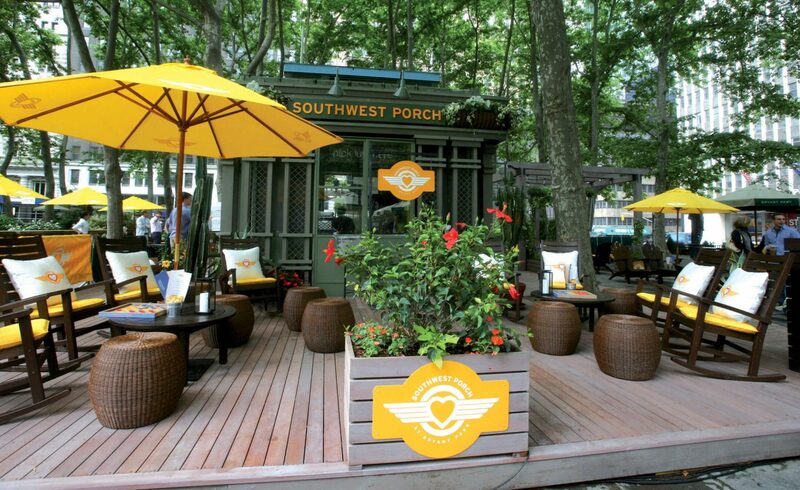 In partnership with Civic Entertainment Group, we transformed the southwest corner of Bryant Park into the Southwest Porch; a welcoming oasis of rocking chairs, porch swings, and cold drinks. 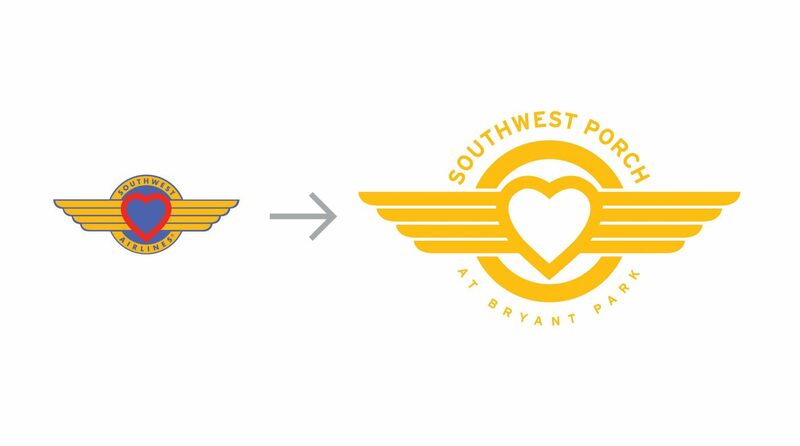 We based the restaurant identity on Southwest Airlines secondary wings logo. 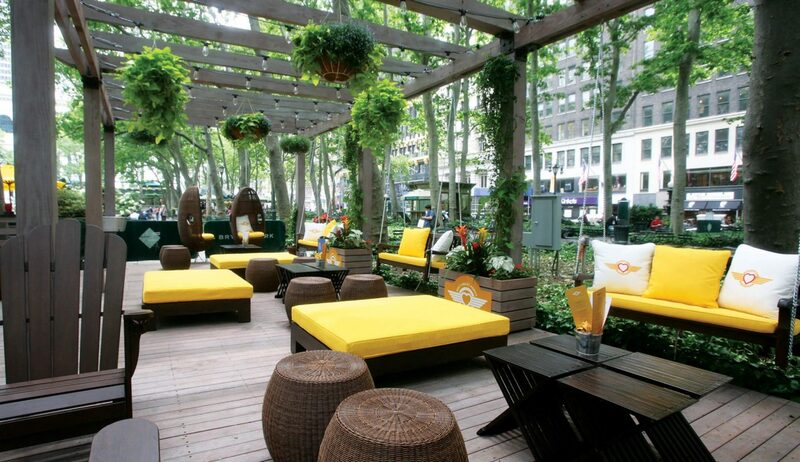 New Yorkers appreciate authenticity, and this allowed us to minimize the corporate vibe while staying on brand. 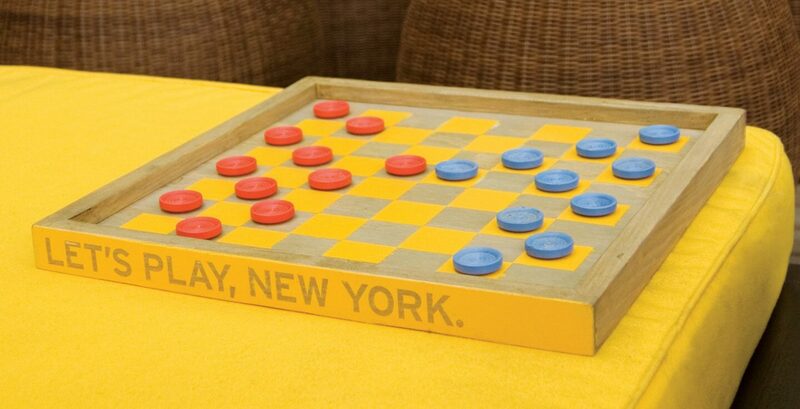 Beyond the signage, we developed a wide variety of components including the menu, uniforms, beer labels and even a branded checkerboard. 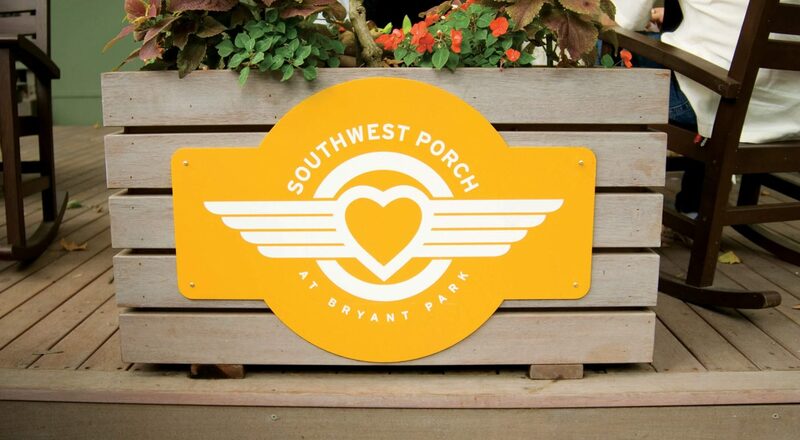 In its first summer, the brand interacted with 125, 200 Porch visitors, and generated $4 million in marketing value and 100 million media impressions. 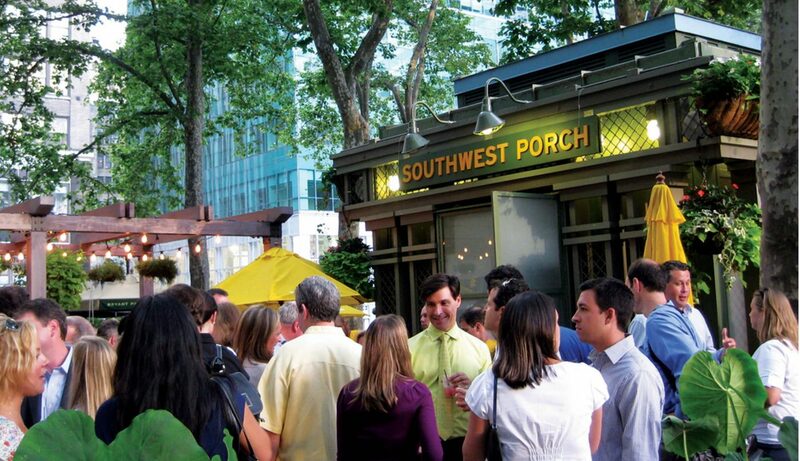 Initially planned as a three-month pop-up restaurant, the Porch became so popular, it has been a fixture in the park since 2012.